As part of a nationwide tour. Major General Aguiyi Ironsi visited Ibadan and had earlier hosted traditional rulers from all parts of the country in Ibadan Government House. His plan was to spend the night at the Government House then continue on his tour, but at 4am his host, Lieutenant Colonel Adekunle Fajuyi, Military Governor of Western Nigeria, alerted him to a possible mutiny within the army. In the early hours of the morning, Government House, Ibadan, was surrounded by soldiers led by Theophilus Danjuma. Danjuma arrested Fajuyi, Ironsi and his ADC and questioned Ironsi about his alleged complicity in the January coup of the same year. Here is an account from Senator Andrew Nwankwo Ironsi’s Aide-De-Camp in an interview given to Sun News. “After we were informed that there was a coup, my close friend Lieutenant Sanni Bello assured me that if it was his own people he will protect me, because, there was tension in the land and we knew a coup was imminent. So, we agreed to protect each other depending on where it would be coming from. After our arrest they marched myself and Ironsi down to where Fajuyi was. They used telephone cables to tie our hands behind our legs, leaving us with a little space to walk. 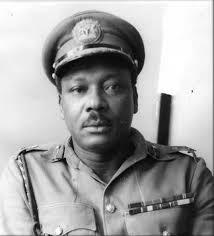 Ironsi was put in a Land Rover, Fajuyi in a mini bus and myself in another bus. They drove us towards Iwo Road, 10 km from Ibadan, where we stopped by a small forest. Fajuyi was leading and as he tried to cross a small stream, he fell down, the soldiers were unruly, it appeared some of them had for the first time taken Indian hemp, so when he fell down some of them started beating him. As Fajuyi fell down and they were beating him, Sanni Bello (the friend Nwankwo had made a pact with) came to me and tapped me and said, we could do something now. It was providence, maybe I was not destined to die. I took a few steps from them and jumped into a nearby ditch, all in a split of a second. Bello came and stood by the ditch and was shouting that I had escaped pointing at another direction. So the soldiers ran around that direction shooting into the bush and when they felt they must have killed me, they shot Fajuyi and Ironsi by the side of the stream. Bello made sure that he was the last to leave the place”. 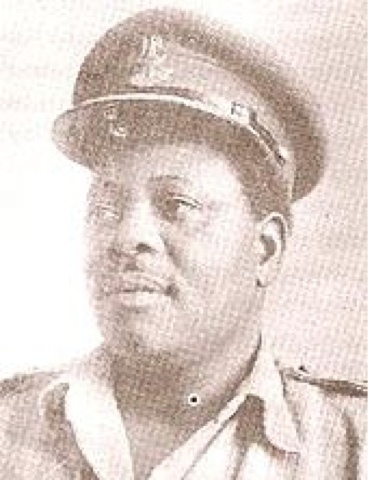 Major general Ironsi’s body and that of Lieutenant Colonel Fajuyi were later discovered in a nearby forest. The funeral of Major General Johnson Aguiyi-Ironsi, the Nigerian Head of State assassinated during the counter coup in 1966. On This Day 49 Years Ago: 13th September 1966 – The death of Sir L.P Odumegwu Ojukwu: A sons account by Lotanna P Ojukwu. Your blog is amazing, I am passionate about Nigerian history and I'm so glad I found your blog, will read all your old posts this week and pass this link to my colleagues. you may find this link useful as well, https://www.youtube.com/watch?v=x3SEWfyHl5w, there are a bunch of videos of Nigeria before independence. Great job and thank you for putting this together.